Below is a list of projects that Delta has been working on or has completed. For more details on each please select the project from the menu below. 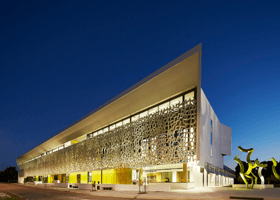 A new state of the art university building in Perth is showcasing the flexibility and versatility of precast concrete. The Fiona Stanley Hospital is a 783-bed, 6,300 room development that combines the latest in cutting edge technology with design that blends seamlessly into the natural environment. 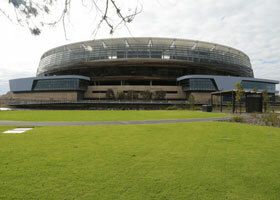 Construction of Perth Stadium began in December 2014 with an innovative design committed to a ‘fans first’ approach. The design aims to acknowledge Western Australia’s sporting, cultural and Aboriginal heritage. 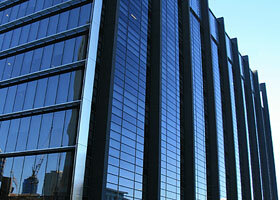 Bishop See is located on the corner of St Georges Terrace and Mount Street, Perth. The structure is totally precast except for the three levels of basement car parking and transfer levels. 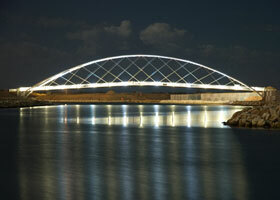 All precast elements were supplied by Delta providing the architects with the high quality of finish they sought. 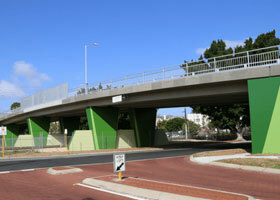 The footbridge is located 1,000km north of Perth where it is exposed to wind speeds of 99m/sec. Delta manufactured the 15No. 6m long x 1.8m wide x 300mm thick precast concrete decking units at its factory in Herne Hill. An architectural masterpiece, 76 irregular shaped lattice panels provide a substantial 120m long verandah to the major street frontage. A striking and unique screen that provides a dual function - to simultaneously provide shade to the glass curtain and to stand out as an architectural feature. Intricate and complex, the result is a uniquely shaped lattice panel with a smooth Class 2 off-form finish.